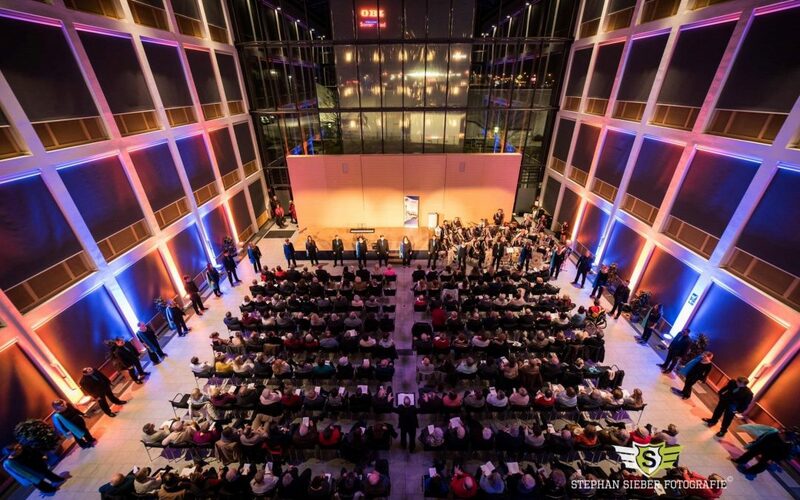 On December 8, 2018 two singers, three choirs and a brass band performed Christmas melodies in the forum of the Volksbank Mittelhessen in Gießen for a sell-out crowd in order to collect donations for the support of the children and youth work of the Lebenshilfe Gießen and the Association of German-American Clubs (VDAC). The German-American Club “Die Brücke” Gießen-Wetzlar was the organizer of the concert evening themed “Winter Music Wonderland”. 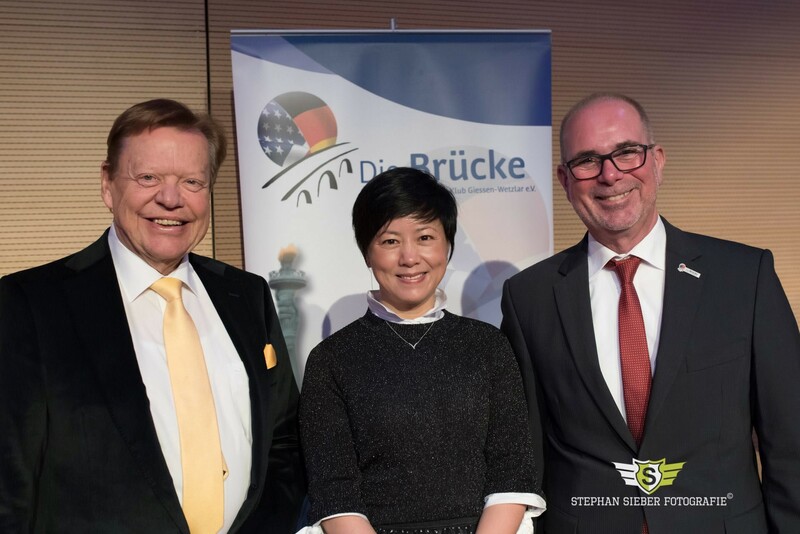 Patron of the concert was District Administrator Anita Schneider, who took the opportunity to hand out her donation personally to Roger Schmidt, President of the club “Die Brücke”. 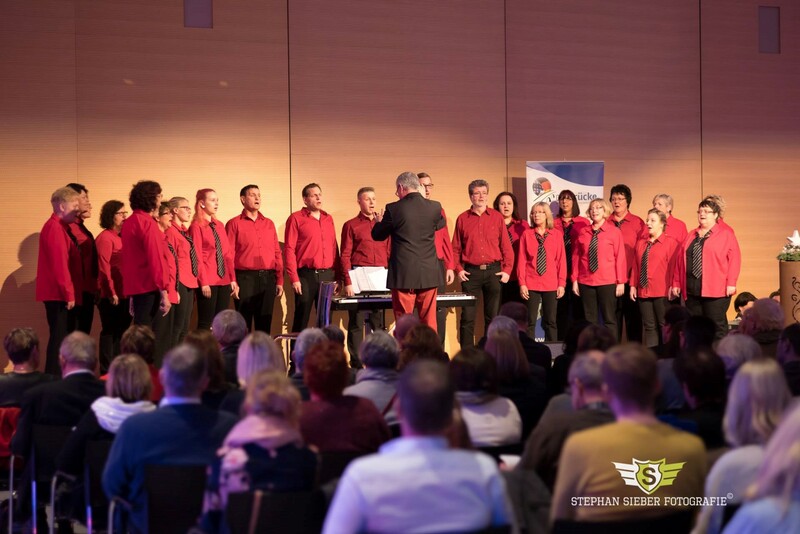 The concert program was arranged by regional choirs and music groups: The brass band “Musikzug Holzheim” (Director: Alfred Peppmöller) with singer Aayana Batô, the choirs “Voice Factory Holzeim” (Director: Matthias Hampel), “Cantamus Gießen” (Director: Axel Pfeiffer), and “Klangfarben Gießen” (Director: Jean Kleeb) as well as the singer Ingi Fett with her daughter Lilli. They cheered up the audience for the upcoming holiday season by singing German and international Christmas carols. 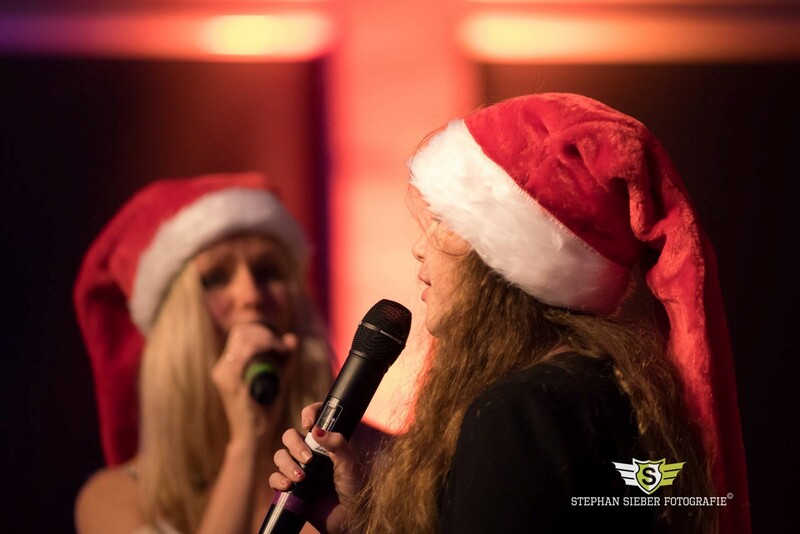 At the close of the evening all artists joined in Michael Jackson’s pop anthem “We are the world” – a significant sign of peace and international understanding in the Advent season.